It's been a productive month - I've managed to get out a few lists that I've been meaning to get out in Video Game Music. Unfortunately I've yet to touch upon any Final Fantasy games - chiefly out of procrastination because I know that that will take a lot of effort as there are MANY themes I wish to discuss!! 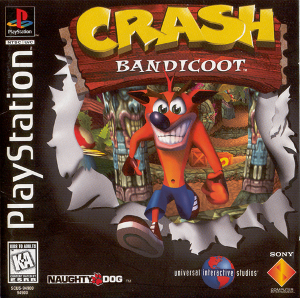 Mark Mothersbaugh is one of my favourite composers - it, therefore, is only fitting that he composed most of the music in one of my all-time favourite franchises in Crash Bandicoot. 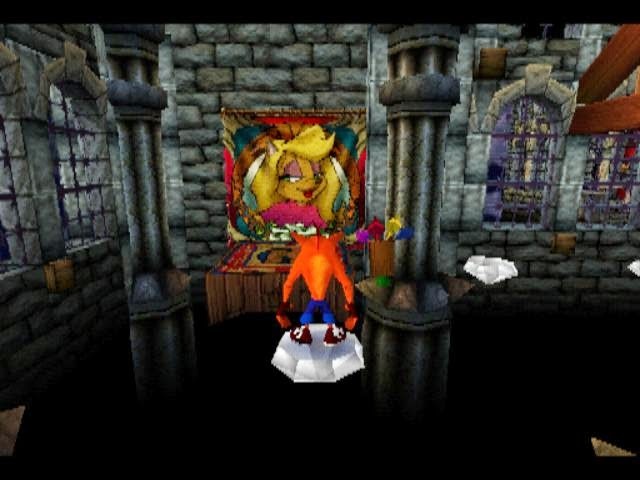 In terms of quality, (in this series and not just Crash Bandicoot I), Mark's work is consistent, excellent and always has the ability to enhance the theme and environment in each level of Crash's adventures. This soundtrack to the first game is glittering with gems and, unlike many albums to video games, most of the tracks (as opposed to only a handful of them) are really cool to listen to. It is quite difficult to spot a bad track. But here is where I must just choose a few..
1) Heavy Machinery: This is definitely my favourite level music. The chaotic yet rhythmic sounds in this piece mimic the livelihood and mechanical aura of an engine room. I can't get enough of its qwerky and funky tune: You think of steam blowing, pistons pumping, gears moving and electrical gizmos all "pulling their weight" for the greater mechanical whole. There is also something slightly eccentric underlying all of this, which is probably why I like it so much. Mothersbaugh takes his time to build up the tune with jibs and jabs of what I can only describe as a mechatronic spectacle. 2) The Great Hall (Alternate Ending music): This is a very suitable theme for ending credits (and it is used as such in the game from memory). The tune provides great closure to the game yet, strangely and perhaps contradictorily at the same time, the music somehow also hints at the start of another adventure. The melody is upbeat, light-hearted and we are given the impression that all our heroes (and reformed villains) can go on to live happily ever after without a care in the world. This cheery mood and positive vibes are such that they could even be described as bordering on absurd, wacky or overly optimistic. A great theme. The Great Hall: A level (and alternate escape/ending with Tawna) only properly accessible if you collected all the white gems to every level - no easy task as you had to get. 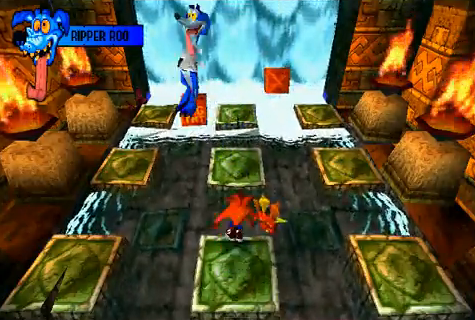 3) Ripper Roo Boss: A frenzied and crazy melody. 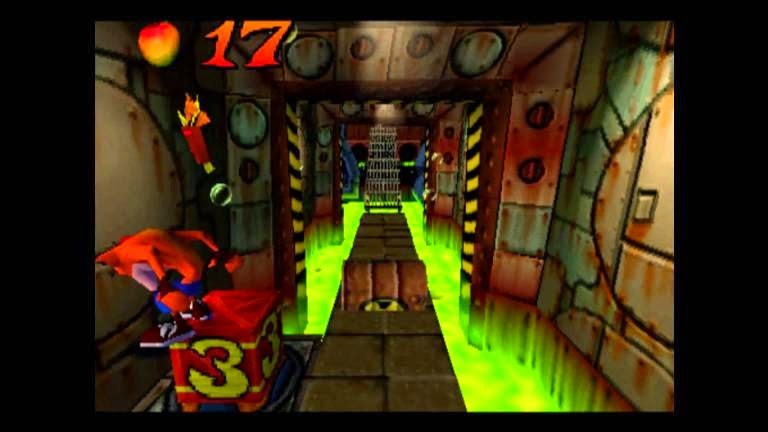 The almost too jovial and happy-go-lucky tune, coupled with the rhythmic beat that alludes to the tonnes of TNT that Ripper Roo is detonating in this boss level, makes for a maddening and psychotic encounter. The music encapsulates the loopy personality of Ripper Roo very well - almost as if there isn't a care in his world as he sets off those bombs. 4) Pinstripe Boss : A set of sinister beats and xylophone notes, especially coupled with the interruption of that frightful and heart-sinking piano, makes for a cool boss showdown with Pinstripe Potoroo. 5) The Lost City, Sunset Vista: Theme to a couple of Koala Kong's levels. Fantastic music and build up - the steady native drumming, African xylophone-like sounds and gonging coupled with the indigenous, probably South American, noises is conducive to a level that makes players very nervous about their prospects of survival in this tropical/runic level. 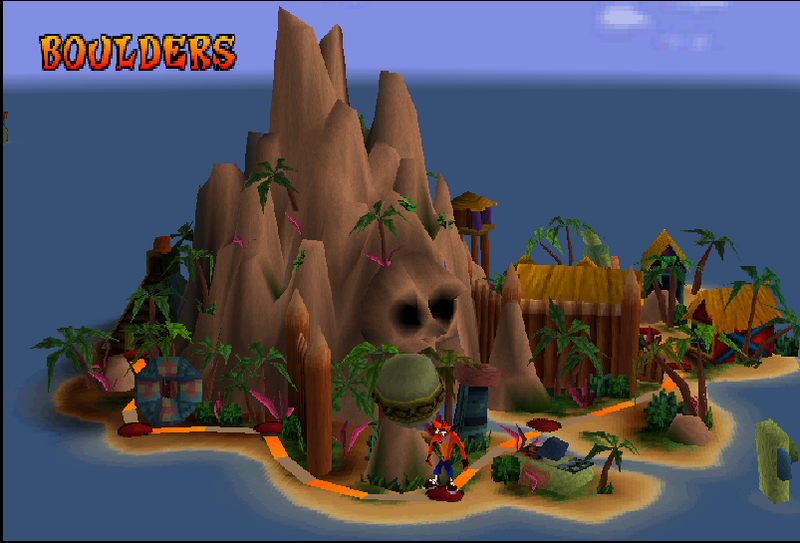 6) Crash Bandicoot Main Theme (Map Theme/N Sanity Beach): A sense of tropical adventure coupled with some cheery charm, here's a world map and menu theme fitting for those ready for a journey around the Wumpa Islands. 7) Hog Wild, Whole Hog: The sheer madness of riding on a hog - of all creatures - through these levels is encapsulated very well by this looney and almost western rodeo-like happy-go-lucky melody. 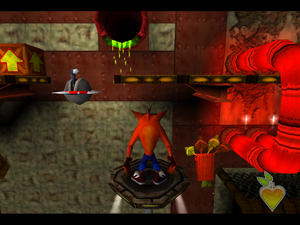 The sudden "springs" and strange "bursts" of noises reflect the obstacles that suddenly "pop" out at you in this level. 8) Koala Kong Boss; Deep bass lines coupled with a serious mood make for music fit for a tricky showdown in this volcanic duel. 9) Dr. Neo Cortex: Almost a bit too slow but a very cool build up to the 32 seconds mark, where things start getting epic. Fitting boss finale music. Toxic Waste: Fitting tense music to a very tricky level - those bouncing barrels are a killer to dodge as you can't perceive their depth! https://www.youtube.com/watch?v=mM3igFjP4Ds <--- have a look at how good this guy is. Generator Room: A strange, ambient and "floaty" piece of music intertwined with a bit of electric guitar. Have a listen to see what you think. Road to Nowhere, The High Road: Tip-toeing through half-broken planks on a bridge that barely holds your weight? Sounds about right. The Great Gate, Native Fortress: More tribal rite of passage music? Excellent. Upstream, The Creek: Encapsulates the atmospheric and calm walk through a somewhat perilous stream very well. Papu Papu Boss: Music to the easiest boss of the game. A surprising variety of jazz, romping and rhythmic music (I've never stayed long enough in the level to hear that part!) is incorporated into the tribal fanfare.